It's no secret that I'm obsessed with udon. Anytime you ask me what I want to have for dinner, my answer is always the same. Udon. 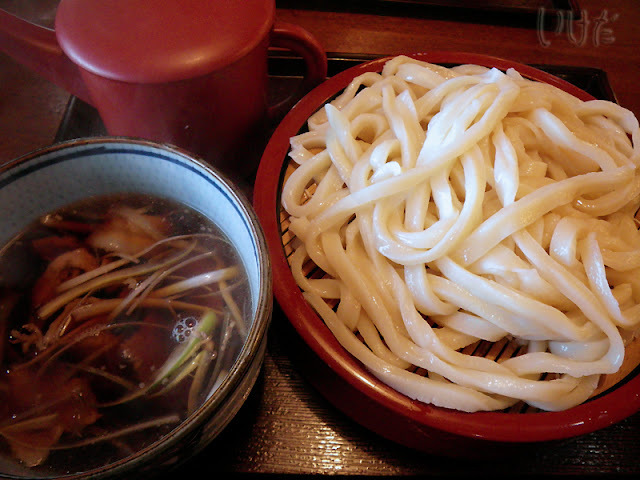 Udon. And udon. I've never met a bowl of udon I didn't like. Though there were some I wasn't all that crazy about. I admit that. Last year, in Shikoku, in the sanuki udon paradise, I realized that I preferred udon prepared the Tochigi way. Or is it the Kanto way? I wanted my broth to be flavorful and with some oomph. I wanted the noodles to be thick and chewy. I wanted udon with chutzpah and personality. Sadly, sanuki udon has neither. Call me crazy, but that was one of the reasons we didn't move to Kagawa. Sanuki was OK, but would I want to eat it every day? Probably not. But there is udon I'd gladly eat every day, for breakfast, lunch and dinner. It's made in an almost dinky, unassuming place along Route 4 in Tochigi. In Shimotsuke city. Who would have thought? 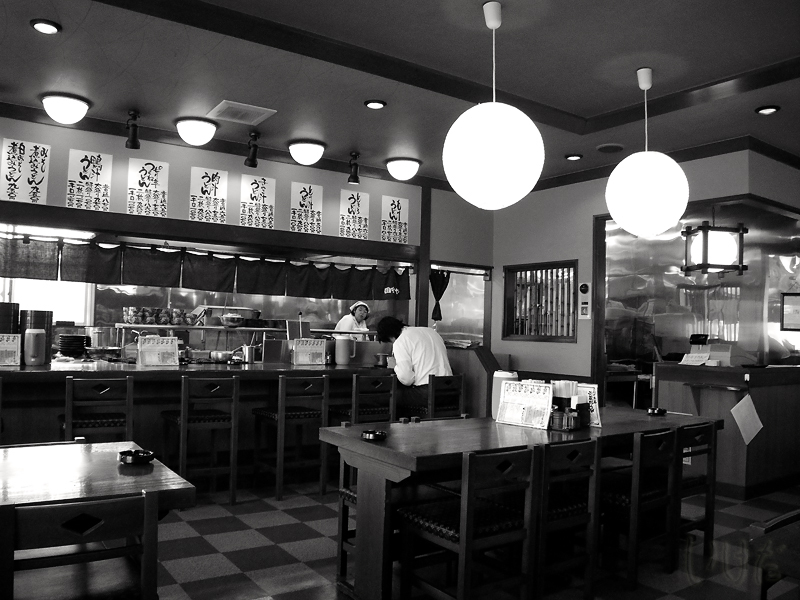 The restaurant is called Inakaya (田舎や, inaka = countryside), and it's a very fitting name. And what do they serve? Inaka udon. Like all highly addictive substances, it takes a bit of time to get used to it. Eating it might be a chore, especially if all you're familiar with is the sanuki variety. But the feeling that overcomes you when you're almost, almost done with your bowl - one of a kind. And I'm not talking about indigestion here. 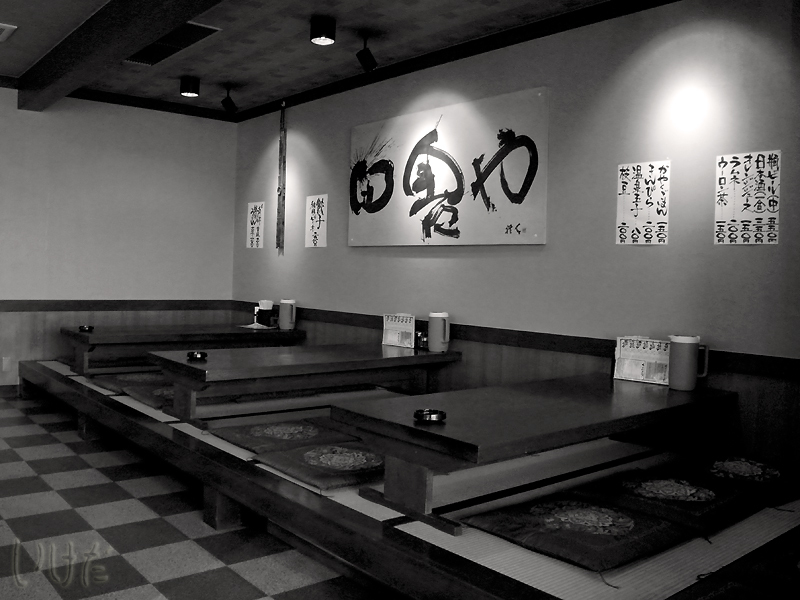 At least not only about indigestion, because if it's your first time at Inaka, you'll get it - guaranteed. No, I'm talking about the sheer sense of accomplishment after licking your bowl clean. I'm talking about a sore jaw from all that chewing. I'm talking about the high that only really awesome and really addictive food (or substances) can give you. THAT's what Inaka udon is all about. Mister is not a fan of the place, so we don't go there very often. And maybe it's a good thing. Probably I would have weighed 300 lbs by now if we did. And even though the place looks empty in these photos, you should see it on weekends and during lunch hour - sheer craziness. On weekends be prepared to wait. For a long time. Inaka's staff is less than efficient. The tables are sort of clean. Smoking is allowed (it's probably the only smoking restaurant that I am willing to enter voluntarily). But the udon... Oh my... Imagine thick strips of homemade dough, sort of maybe perhaps cooked. Hard and chewy and sticking to your ribs. Next to a bowl of "I'm gonna punch you in the gut" broth. Yep, you got it. That's it. That's inaka udon. It's right on Route 4.